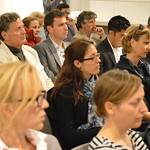 As part of the two-day forum, Feel the Music: Sound and Emotion, co-organized by swissnex San Francisco and the Swiss Center for Affective Sciences, attend a performance by opera singer Indre Viskontas and the chamber music quartet, Vocallective, exploring the connection between music and emotion. 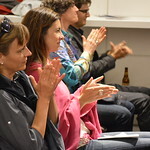 swissnex invites you to experience the power of music first-hand, from romantic string quartet pieces to contemporary works from American composer Osvaldo Golijov in the evening’s live performance. 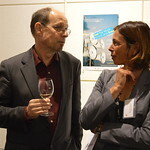 Viskontas helps guide the discussion with musicians, who talk about the emotional journey of playing. Violinist Joseph Maile has been passionate about chamber music from early in his musical studies, and he has worked and performed in various ensembles throughout the United States. 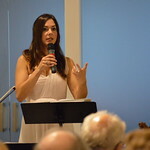 Maile has collaborated with and performed the music of both faculty and student composers at the Tanglewood Music Center as a member of the New Fromm Players. He has been a member of the Da Camera of Houston Young Artist Program, where he worked with other young professional musicians to create unconventional and innovative chamber music productions throughout the Houston area. He has also collaborated with numerous guest artists, including Norman Fischer, Roger Tapping, Donald Weilerstein and Menahem Pressler. Maile received a B.M. in violin performance at The Juilliard School under the tutelage of Itzhak Perlman and Cathy Cho and an M.M. in violin performance at the Shepherd School of Music at Rice University with Kathleen Winkler. 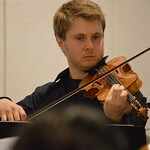 Mr. Maile just recently received an Artist Certiﬁcate degree in chamber music performance with Ian Swensen at the San Francisco Conservatory of Music. 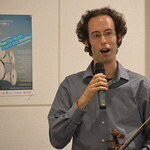 Matthias McIntire – violinist, improviser, composer, teacher – has made it his mission to bridge the gap between classical and non-classical styles of music, between playing improvised and non-improvised music, between playing the music of others and playing his own, and to share his growing knowledge of the violin, musicianship, how music works, and how it is put together with others. With this mission in mind he is active as a performer, improviser, composer, and teacher in many different contexts and styles. 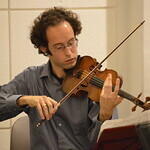 Recent highlights include graduating with a Masters of Music degree in violin performance from the San Francisco Conservatory of Music where he studied with Ian Swensen, performing with Livia Sohn and members of the St. Lawrence String Quartet in a concert of music by Vivaldi, sitting concertmaster for the Bay Area Summer Opera Theatre Institute (BASOTI) orchestra, performing with world-renowned jazz pianist Vijay Iyer at the Banff Centre International Workshop in Jazz and Creative Music, playing on the soundtrack of the new movie Looper as a member of the Magik*Magik Orchestra, attending the world premiere of his piece Earthbound and Skyward for solo piano as performed by Keisuke Nakagoshi, and joining the team at the New Mozart School of Music as violin instructor. Pei-Ling Lin is a native Taiwanese violist who came to the United States at age 15. Ms. Lin attended The Juilliard School for her bachelor degree and studied under Hsin-Yun Huang. She holds a Masters degree in music from Rice University where she studied with Mr. James Dunham of the Cleveland String Quartet. Ms. Lin recently graduated from San Francisco Conservatory with Artist Certificate degree in chamber music. Ms. Lin is an active teacher of viola and chamber music. 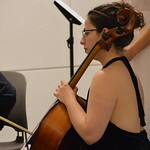 She was invited this past summer to come to the Yellow Barn Young Artist Program as a chamber music coach. For the season of 2009-2010, Ms. Lin was the associate principal violist of South Dakota Symphony Orchestra, a member of Augustana Faculty string quartet and on the viola faculty of Augustana College. The quartet traveled and taught in more than 10 high schools throughout the region of South Dakota and Iowa. On top of performing and teaching, Augustana Faculty string quartet was highly engaged in community service. Ms. Lin was one of the coaches for the Augustana community orchestra. 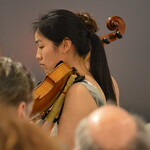 As a chamber musician, Ms. Lin has performed with such artists as Donald Weilerstein and Norman Fischer. Other recent performances include Mendelssohn Octet with Chio-Liang Lin, James Dunham and Lynn Harrell for the Mendelssohn 200th birthday celebration concert series. For the past two years, Ms. Lin had the opportunity to work and perform with renown artists such as Kim Kashkashian, Robert Mann, Joseph Swensen and Roberto Diaz. Ms. Lin is currently an active chamber musician in the Bay Area and abroad. This season she has made appearances with such groups as the Left Coast Ensemble, the Friction Quartet and in New York with the Hyperion String Quartet. 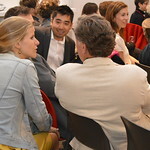 For the summer of 2013 Ms. Lin has been invited back to teach at Yellow Barn Young Artist Program. She has also been invited to join the Marlboro music festival in the near future. Cellist, Adaiha MacAdam-Somer is based in San Francisco where she freelances all over the Bay Area. This season she has had the opportunity to perform on baroque cello with Voices of Music, Philharmonia Baroque Orchestra as well as numerous chamber and solo performances on cello, baroque cello and viola da gamba. Last season she was the winner of the 2012 Voices of Music Young Artist’s Bach Competition and in March, Adaiha had the honor of performing the world premier of Mohammed Fairouz’s Ahknaten, Dweller in Truth, a concerto for cello and piano commissioned for her by Houston based Foundation for Modern Music. As an active chamber musician she has performed with Jean-Michel Fonteneau, Paul Hersh, Kim Kashkashian, Jodi Levitz, Robert Mann, Yoshikazu Nagai, Axel Strauss, Ian Swensen, Joseph Swensen, and Uri Vardi. Her previous teachers include Anthony Elliott, Laszlo Varga and Uri Vardi. Miss MacAdam-Somer has received scholarships to attend some of the top summer music festivals in the United States including The American Bach Soloists Academy, Interlochen Arts Academy, Encore, and Musicorda. She has performed in masterclasses with Janos Starker, Steven Isserlis, Gary Hoffman, Colin Carr, Alban Gerhardt, Desmond Hoebig, Bonnie Hampton, Joel Krosnick, Wieland Kuijken, Aldo Parisot, Menahem Pressler and the Miami String Quartet. Adaiha holds a Master of Music Degree in chamber music and a Professional Studies Diploma in cello performance from the San Francisco Conservatory of Music, where she was a student of Jean-Michel Fonteneau. Her baroque studies have been with Elisabeth Reed, Tanya Tomkins, and William Skeen. She received her Bachelor of Music Degree from the University of Wisconsin-Madison under the tutelage of Uri Vardi. While attending UW-Madison she served as principal of the UW Chamber Orchestra and assistant principal of the Madison Symphony Orchestra. In February of 2006 she had the honor of being a guest artist at The Varga Celebration honoring Laszlo Varga at University of North Carolina Greensboro.In her spare time, she can be found playing cello and singing back-up vocals with the San Francisco based band, Matthew Edwards and the Unfortunates. Founded in 2011, Vocallective is a consortium of singers and instrumentalists dedicated to the art of vocal chamber music. 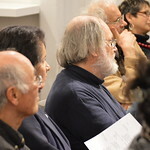 The 2011-12 season included five distinctive concert programs performed in nine venues, ranging from the Legion of Honor to the Trinity Alps Performance Center in Weaverville, CA. 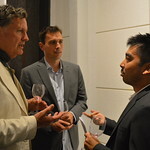 Repertoire includes both world and west coast premieres of pieces by American composers Mohammed Fairouz and Giancarlo Aquilanti, as well as thoughtful reinterpretations of well-known classical works. 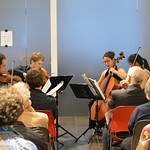 The ensemble began the 2012-13 season with a showcase of contemporary composer Osvaldo Golijov’s music for soprano and string quartet at the San Francisco Conservatory of Music, followed by a repeat performance at the Yerba Buena Center for the Arts as part of Chamber Music Day. 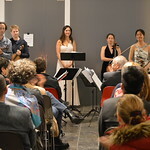 In January, the ensemble traveled to Toronto to perform at Gallery 345, one of the city’s hottest new music venues. February brought concerts of music by Schubert, Spohr, Mozart and Argento at various venues around the Bay Area, including a performance at the Italian Cultural Institute, co-sponsored by the Swiss Consolate, featuring Swiss clarinetist Lux Brahn. 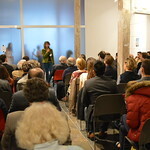 March began with a performance at the Hot Air Music Festival, a showcase of new music at the San Francisco Conservatory of Music. 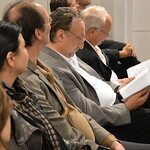 The variety of music presented by the ensemble underscores a commitment to present not only pieces that have stood the test of time but to champion living composers and commission new works of vocal chamber music. Vocallective has been featured on 91.7 KALW and KUSC in Los Angeles, on VoiceBox. 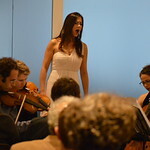 Led by soprano Indre Viskontas, the ensemble is an affiliate of the San Francisco Friends of Chamber Music. More information and sounds clips can be found at www.vocallective.com. 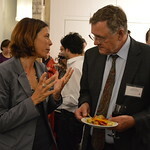 NCCR Affective Science is the first national center dedicated to the interdisciplinary study of emotions and their effects on human behavior and society.